This amazing piece is distinctly marked by engineering genius. 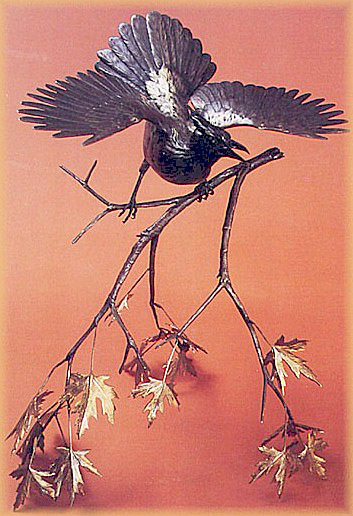 The jay is perched on a water maple branch which appears weightless, as if suspended in air. A delightful image with a raucous spirit.